All creatures need comfort and companionship, not just humans. A photo of two shelter dogs who, without a real home and people to love them, found friendship in one another, is making its rounds on the Internet this week. 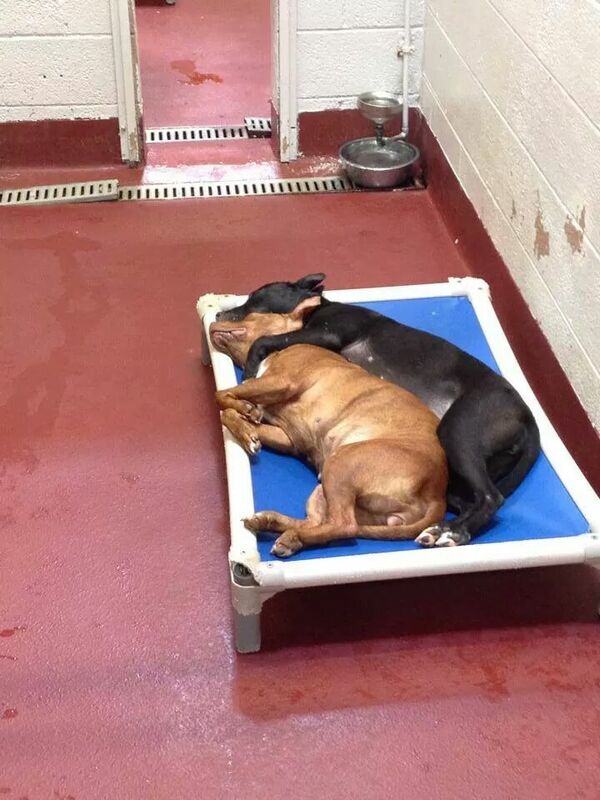 The touching image shows Delaware, a friendly 8-month-old a pit bull mix, and Kyra,a playful 1-year-old Lab mix, spooning together in their shared space at the Fulton County Shelter in Atlanta, Georgia. Every year, millions of cats and dogs end up in animal shelters all over the country, according to The Humane Society, and this picture serves as a reminder to get out there and adopt some lovable dogs.